Gregory Peck And Sophia Loren. gregor peck and sophia loren. 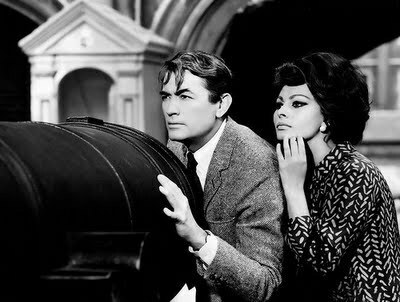 Wallpaper and background images in the प्रतिष्ठित फिल्में club tagged: gregory peck sophia loren image actors photo films. Ooooh I love Mr. Peck. Great image! Iv'e died and gone to heaven !